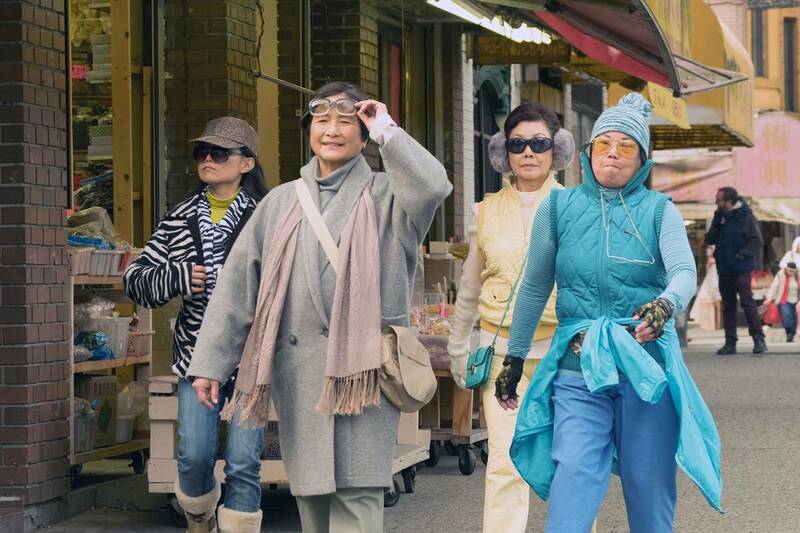 Maria (Cheng Pei Pei) and Bing (Tzi Ma) left Hong Kong 39 years ago to build a life of greater opportunity for their children and themselves in Vancouver, but now she comes to realise she has spent her life in a supporting role, quietly close to everyone in her family, taking care of them, loving them deeply, and always living in their function. She has never fully learnt to speak English, never had a job in Canada, never learnt to drive to make herself independent, and never cultivated any real social life outside of her domestic sphere. Who is Maria apart from Bing’s wife, and Ava and Charlie’s mother? We learn that Charlie has been cut out of the picture ten years ago by his father for missing a very important event – an act that brought great embarrassment to Bing, and in his traditional and strict book is cause for disownment. Ava (played by the always excellent Sandra Oh) is a regular presence in her parents’ life and home, and visits them with her own children and husband. One of their family dinners is indeed quite the turning point. It’s Bing’s 65th birthday (and 39th immigration anniversary), Ava brought an invitation to Charlie’s wedding to give to Maria in secret, and after the family celebration Bing – who pretends he has to go back to the office – will be sufficiently drunk to forget a compromising item in his trousers’ pocket. Maria finds it the morning after, and while plenty starts to crumble from this moment on there’s also something that slowly builds up. This film is a fascinating and fragile tower of multi-layered family dynamics, where the adult children become their parents’ parents. Maria starts moving her first independent steps in the world aged 60 motivated by betrayal, and as she learns to walk in life she also learns to cycle – literally – when she asks her daughter Ava to teach her how to ride a bike. In this scene Maria is like a kid in the body of an older lady, looked after by an excited yet apprehensive Ava. Throughout the film Pei Pei’s performance gives Maria an innocent and childlike quality, sometimes disheartening but most often endearing. In the way she grimaces in protest or panic, and the way she smiles with sincere hope and expectation, we see the little girl that first her family, then her husband never let grow, and whose potential was never fulfilled. The whole film is constellated with everyday, relatable family frustration moments, such as on the night of Bing’s birthday dinner when Ava is hesitant before buzzing in, she takes a deep breath, and knows that telling Maria about Charlie’s wedding will be like repeatedly walking into a bouncy wall. The usual wall all adult children of problematic parents know. There is no laugh-out-loud comedy, and there would be no reason for it, but we are gifted some precious, amusing subtlety in the little quirks quite common among the elderly, like the habit to keep everything until the end of the days (you never know when something might turn out to be useful! ), including a 20 year-old definitely expired eye shadow – “I still have that green eye shadow” “Of course you do, Ma”. Apropos of colours and palettes, director Mina Shum’s is a consistent and meaningful one in the production design and costumes in particular, with Maria always wearing very neutral shades of beige, to the point of almost blending with the home décor. One day she will wear blue, and it will be evident a great change has occurred. Meditation Park is a film that invites the viewers to the family home and welcomes their discreet gaze placing them behind the pillars and wall’s corners – like Maria and Bing are framed in the domestic scenes. It’s an affectionate and attentive study of the Chinese immigrant experience, where battles must be picked between what is worth of an effort, and what all in all can stay as it is, and most importantly a riveting, bumpy path following the awakening of sweet Maria. 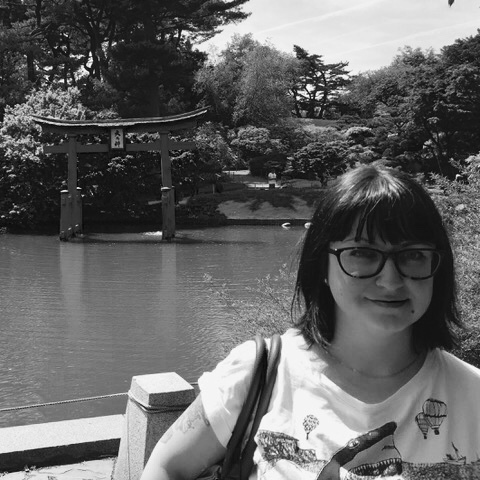 Italian by birth, a Londoner by choice since 2008, Camilla is a Film Studies graduate, currently in her 2nd year of a Contemporary Literature and Culture MA at Birkbeck College (part time!). She has worked in Factual and Entertainment TV Production since 2012 but doesn’t watch much of it. Some of her favourite films include The Royal Tenenbaums, The Big Lebowski, Girlfriends, Lost in Translation and most recently Faces Places. Some of the many names that will make her immediately dot down a title are Desiree Akhavan, Michel Gondry, Noah Baumbach, Greta Gerwig, Nicole Holofcener, Alex Ross Perry, The Duplass Brothers, Lena Waithe, Jill Soloway, Alice Lowe, Charlie Kaufman, Peter Strickland, Pedro Almodovar and Lynne Ramsay. Vegetarian, Cat lady, mildly unstable. On Twitter at @Camilla_C_C and on Medium here.